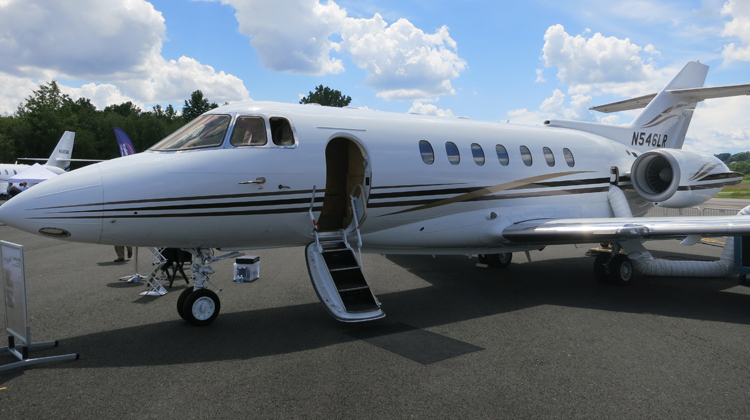 Taking international trips can be made more comfortable and relaxing when aboard the Hawker 1000. This 8 to 14 seat plane has the facilities to make your trip convenient for 5 hours or so. It has customized passenger seats and divans to make sure you can stretch out your feet and stay cozy throughout the flight. Charter services also have their corresponding, customized details on the plane’s in-flight entertainment, galley, lavatory and luggage compartments. Given its seating features, speed and range, it would also be advisable for you to confirm your flight plan with the charter service. If you will be maxing out the plane’s seating capacity, you may need to check on how your plane may sustain its efficiency in reference to your destination. For instance, a trip from Ontario to Salt Lake City may be arranged if you have 9 more friends traveling with you. The Hawker 1000 is considered to have a stretched fuselage in reference to its predecessors, plus its materials are also lightweight. Hence, more space within this private jet can be enjoyed as it also belongs to the long range flight category. Each of its seats was also customized depending on your chosen charter service’s specifications. For instance, a standard passenger seat within the Hawker 1000 includes a lengthier leg room along with personal control panels. A foldable table may also be included, so you can enjoy your meals. The same table may be used if you’d like to keep working on your laptop should you embark on a business trip. Given its excellence in speed and flying range, it’s no wonder why private flights on a Hawker 1000 are sought after. It can reliably perform if you will have an international flight on this aircraft. In reference to its roughly 4,000-feet climb per second, the plane can certainly fly at a relatively faster rate compared to most lightweight planes. Considering its speed and range, its maximum 15-seater capacity will also include the pilots and cabin crew. 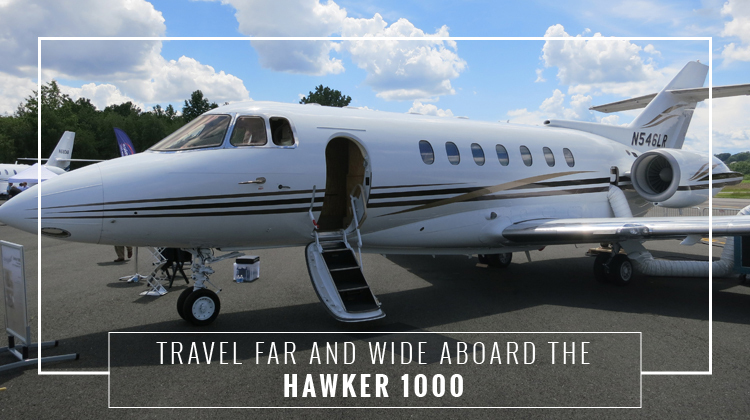 Now coast to coast travels can be made efficient and fast as you fly on board the Hawker 1000. With the Hawker 800 as its reference of improvement, the Hawker 1000 has a stretched fuselage and an additional main cabin window on the side. The Hawker 1000 also improved its performance capacity by changing its engines from the AlliedSignal TFE-731, to the Pratt & Whitney Canada PW-305 turbofan engines. Other detail changes have also made a difference when it comes to increasing the space of its interiors and its efficiency. These include more capacity for fuel, lightweight versions of selected components and more headroom in its interiors. This version of the Hawker was released in the 90s. It’s also a result of eight generations of series, since its original version was first flown in the early 60s.